Storage has never been so inexpensive and vast, and as you may well already know, the price of storage devices continues to plummet, and hard drive space expands as time moves forward. Just consider the old AD for “The Hard Disk You’ve Been Waiting For,” which cost a jaw-dropping $3398 and offered an astounding 10 MB of storage space. Thank goodness, these days we can get terabytes of storage space for less than $100. The problem is, however, that we are inundated with models from which to choose, and it’s tough knowing if you’re getting a good deal. There are multitudes of manufacturers, and due to some white labeling product shenanigans, sometimes multiple brands look different on the outside and go by different names, but still contain the exact same hardware on the inside. Today we’re going to compare two of Western Digitals most popular products: Easystore vs My Passport. There are many similarities between these products, such as the ability to purchase them in 1, 2, 3, and 4 TB quantities, but which one is better? I’ll break down the in’s and out’s of each product to help you make the most informed decision, but first, I did want to begin by explaining that these technologies are traditional hard drives, meaning they have moving parts and work by spinning platters and employing the use of read/write heads. Said a different way, I want you to be aware that none of the products compared here are SSD (Solid State Drives), which transfer data at a much higher rate, though typically offer lower amounts of storage. With that said, let’s get started with a pricing comparison. I was surprised to see how much storage has dropped since the beginning of the year. If you need a terabyte of storage, which is pretty difficult for the average user to completely fill up (unless you’re a media junkie and have hard disks packed with movies and music), you can get an Easystore 1 TB for only $50. My Passport’s 1 TB is only $10 more expensive and costs $59.99. As you can see, the pricing plans are the same for all models but the 1 TB version, which is only $10 cheaper with the Easystore product. Given that the pricing models are nearly identical, I think the comparison can only come down to a determination of superior features, though the products are similar with regards to their features too. To be fair, there are a few slight variations between the features offered with each product, but in all honesty, they are more or less the same. But before we dig in further, I did want to bring up something I found a little strange. I did want to chime in and notify you of an oddity I found when searching for locations where the products are available. For some reason or another, I was not able to find the Easystore 3 TB available in the US. 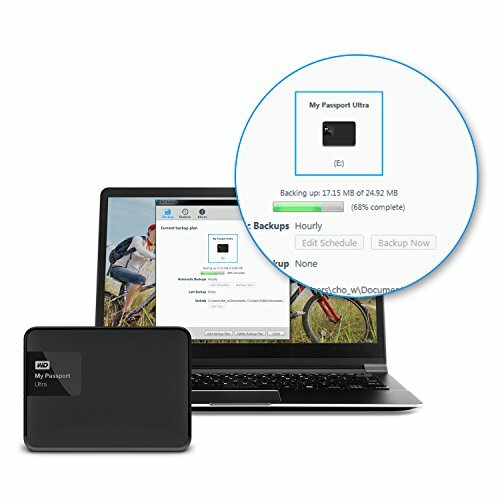 It is possible to purchase the My Passport products either directly from WD or through a reseller like Amazon, Best Buy, or Insight. But for some reason, I was only able to find the Easystore products exclusively through BestBuy. Furthermore, the 3 TB model of the Easystore product wasn’t available at all in the United States, and neither was the My Passport 2 TB. I imagine there is some corporate reason they are not available. Perhaps, for some reason or another, WD decided it could maximize sales for one product over the other by making it unavailable in certain regions. Whatever the reason may be, I was not able to find a place to purchase a new My Passport 2 TB or the Easystore 3 TB. The hardware specifications, again, are extremely similar. Essentially, they include a hard drive in an external case that is capable of USB 3.0 speeds, as well as backward compatibility with USB 2.0. The dimensions of the cases’ length and height are identical too. However, though 1 and 2 TB models, for both products, are 0.54” thick (approximately half an inch), the 3 and 4 TB models are slightly thicker at 0.85”. Personally, I don’t think the minuscule increase in thickness would dissuade me from opting for the 4 TB drive, but everyone is different. Some people love keeping everything small and compact, be it for work, travel, or simplicity. They are both formatted with file systems that are ready for the latest Windows operating systems. If you’re a Mac or Linux user, you’ll have to first format the drive before you can use it, though it’s a simple process and doesn’t take too long. Furthermore, note that the 4 TB versions are a little thicker than the other versions because the hard drive requires more platters to fit 4 TB worth of bits into the case. Nevertheless, the length and width of the case are still the same. Given that the products are so similar with regards to hardware and pricing, I was surprised to see that they vary significantly with regards to the features that come with the drive. As far as I can see, the three biggest differences between each product are the ability to customize its color, a 3-year warranty, and a security and encryption feature. Otherwise, it seems that everything else is the same. 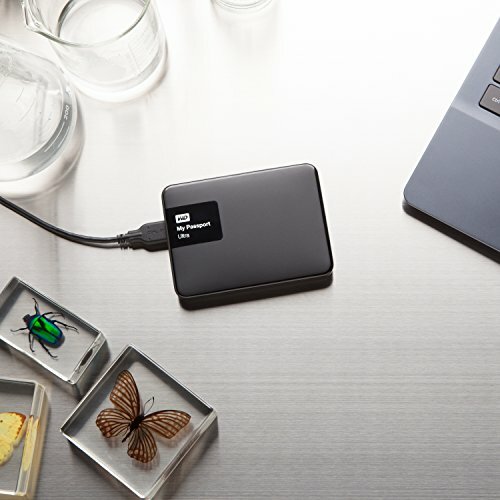 They both come with the WD Discovery software and the WD Drive Utilities, which are, unsurprisingly, simple utilities that help you find, manage, and format your hard drive. I did like that both products come with built-in backup service because too many people have lost data because they simply forgot to manually back it up. The automatic backup feature allows you to “set it and forget it” to alleviate the irritation and tedium of having to go through the manual process every time you log off your device. As you can see, My Passport product has more features, and I know some people love the fact you can customize its color. The real added benefit is password protection and hardware encryption using AES-256. Even though these products are extremely similar, it seems that the Easystore product was designed to be sold through resellers, while My Passport product is sold through resellers and direct from WD. Clearly, these products are very similar, but the My Passport product line has a slight advantage due to encryption features. 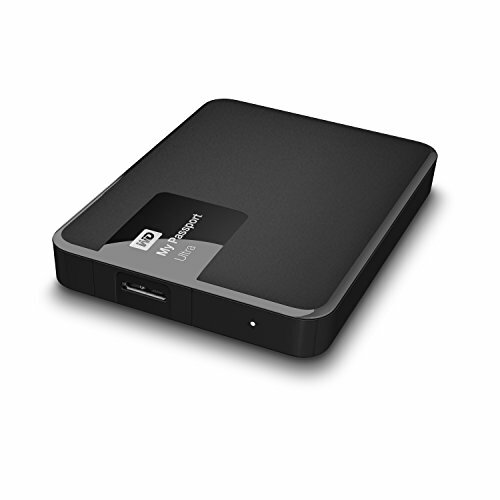 If you really wanted to save $10, you could opt for the Easystore HDD, though only the 1 TB version. Otherwise, you might as well opt for the My Passport product because it has better features and cost the exact same. I wasn’t altogether impressed with the watered down and uniform Easystore products. Furthermore, while it isn’t important to me at all (I prefer to be pragmatic), I am fully aware that some people will love that they can customize the color of the My Passport case. For me, the only thing that matters is how well the hard drive functions, how long it lasts, and how much storage space it offers. But some people will want a different color than black, which is the only color the Easystore product offers. Altogether, I think that My Passport is a superior product.